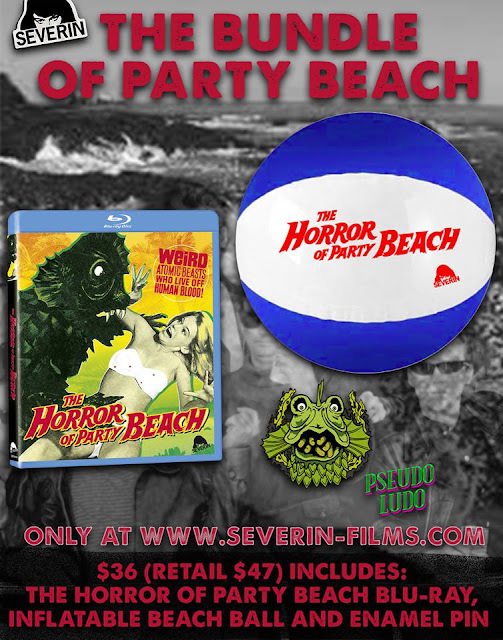 Severin Films invites you to the bloodiest beach bash of the year. THE HORROR OF PARTY BEACH is ready to rock viewer’s eyeballs in sparkling HD, leaving no grain of sand unstained by the gory aftermath of it’s shock-and-roll shenanigans! 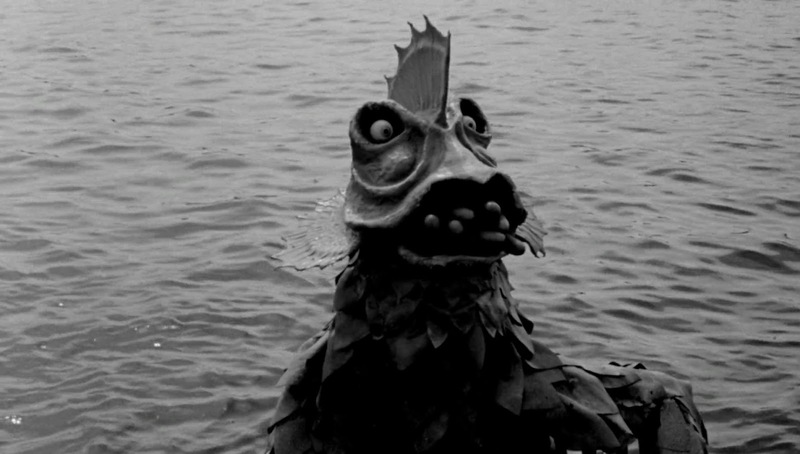 In 1964, 20th Century Fox released an independent shocker – shot in two weeks for $50,000 outside Stamford, Connecticut by local producer/director Del Tenney – advertised as ‘The First Horror-Monster Musical’. More than 50 years later, this “absolute classic of exploitation cinema” (Legends Magazine) returns like you’ve never seen or heard it before. When nuclear waste dumped into the ocean mutates a shipwreck full of corpses, it will unleash an onslaught of bikini teens, surprising gore, dubious science, an intrepid maid, The Del-Aires, and arguably the greatest worst monsters in horror movie history. Severin Films is proud to present this cult favorite from “Connecticut’s own Ed Wood” (Stamford Advocate), now featuring a new 2K scan from the original negative and loaded with all-new Special Features like nothing that ever stalked this earth! *Also available exclusively from the Severin webstore is a bundle package featuring a gorgeous enamel pin designed by Pseudo Ludo and a beach ball for your damned trip to the shore! PLEASE NOTE: THIS IS A PRE-ORDER AND WILL NOT BE AVAILABLE UNTIL 28TH AUGUST 2018. ANY NON PRE-ORDER ITEMS PURCHASED ALONGSIDE THIS WILL NOT SHIP UNTIL ALL ITEMS ARE IN HAND AT THEIR SHIPPING FACILITY. Also available to order on Amazon.com via the links below.